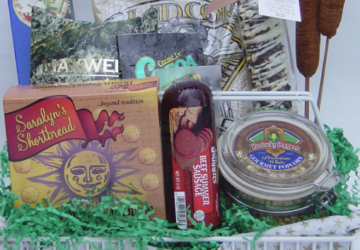 Marketing is the one and only way to put your gift baskets into the hands of paying customers. That’s been true since the first gift basket was advertised in a women’s magazine in 1916. 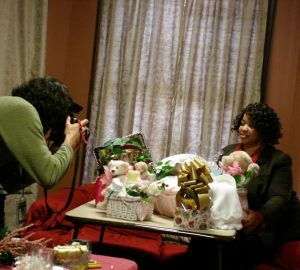 The gift was made for a baby, and the photograph included everything a newborn needed in its first months of life. Today, you have lots of options for marketing, well beyond but also including magazine advertising. The methods you choose depend on whom you believe is the best person or type of business that will buy. 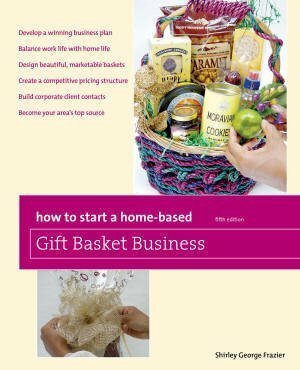 It’s important to first create a profile of your buyer, a basic task that’s outlined in the book, How to Start a Home-Based Gift Basket Business. Without knowing all about the people and places that will buy, you’ll attempt to sell gift baskets to anyone, and that’s not a wise plan. I know this fact well, as I didn’t recognize the need to create a profile and wasted time trying to sell to everyone regardless of gender and age. How do you figure out who or what goes into the profile? 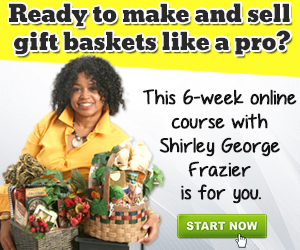 Think back about the reason you started a gift basket business. How did you come to the conclusion that gift baskets are what people want? Did friends tell you they can’t find nice gifts? 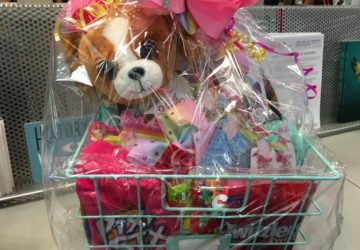 Do you work at a company that orders gift baskets? 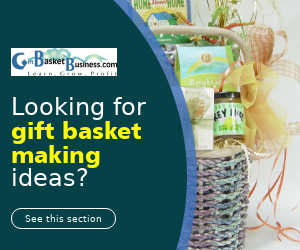 Did an article influence you to consider gift baskets as a business? There’s an overall motivator that led you to this creative venture. What was it? Think back about that influence, and let whatever it was help you to identify the types of people and corporate settings most likely to buy consistently. 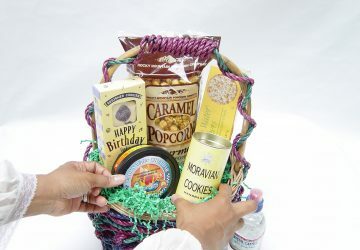 The phrase target market means to identify the types of people and/or organizations that have the strongest potential to buy your gift baskets. Everyone is not a buyer, so it’s important to know who to approach and who to overlook. What do you need to know to identify the best people and places for marketing? Here’s what to research for both individual and corporate profiles. Place the details on a worksheet whether on paper or computer. Keep in mind that your target market profile will start with individuals unless you only want to sell to corporations. Focus your concern on whom you believe will buy (individuals, corporations, or both). Is she single, married, or divorced? In what type of housing does she live? Which social media is her favorite? Which departments require gift baskets? What types of gifts does the company buy now? Who do you know that works there? What types of events does it sponsor? How does it reward employees? Where is the company headquarters? How many locations does it have worldwide? If corporations are part of your target market, keep in mind that independent service providers and small firms are part of the corporate sector. Independents include doctors, attorneys, and accountants in private practice. Small firms include insurance agencies and telecommunications firms that are part of large corporations but work in offices outside of the main headquarters. Developing this information will take time, so don’t rush it. You can use the Internet to find some of the details, and if you drive a vehicle, you’ll be more aware of your surroundings and potential customers in the neighborhood. Make mental notes when behind the wheel, then transfer the details onto your target market worksheet. Now that you are clear about your potential buyers, where they’re located, and general traits, you can determine what type of marketing will reach them effectively according to available tools and techniques. Here’s a list of six choices. Keep in mind that many more methods exist, which you’ll uncover in great detail in the comprehensive course, Gift Basket Marketing: The Guide for Maximum Visibility and Sales. This option is one that most new designers incorporate right away into their target market planning. That’s fine. However, word of mouth marketing won’t get you sales unless you are talking to people on a daily basis, sharing reasons why your gift baskets are the only possible gift to buy for events and occasions. If you stay silent, word of mouth won’t be an effective marketing tool. You must be a self promoter, a broadcaster who informs potential buyers about the reasons for gift basket buying. You cannot be shy, thinking that people don’t want to hear about what you offer. People are generally interested especially when you have stories and insights about how gift baskets make receivers smile, warm their hearts, or comfort them in times of grief. That’s what influences orders, putting money in your bank account. Word of mouth is easy to add as part of marketing, but if you don’t talk, it’s really not a tool. Include this marketing option if you’re truly ready to let the world know how your beautiful designs enhance their life. Notice that none of what’s stated here includes the phrase, “I make gift baskets,” so try not to say those words when speaking. In word of mouth marketing, people don’t care about what you make. They want to know if what you do helps them in some way. That’s how word of mouth makes you money. Business cards are, by sight, the smallest-sized option, but it’s huge in representation. It acts as a mini billboard, broadcasting your business and its relationship management services (this is truly what your design skills perform) to everyone who receives it. There are some people who don’t believe in business card exchanging. That’s fine in their circle, but not in yours. A business card delivers information about your service that no one will remember unless they have the details on the card’s front, back, or both sides. There’s a lot of information you can include. However, you want to only place vital details without overcrowding. Here’s what you might add on your card. A gift basket photograph is also recommended. 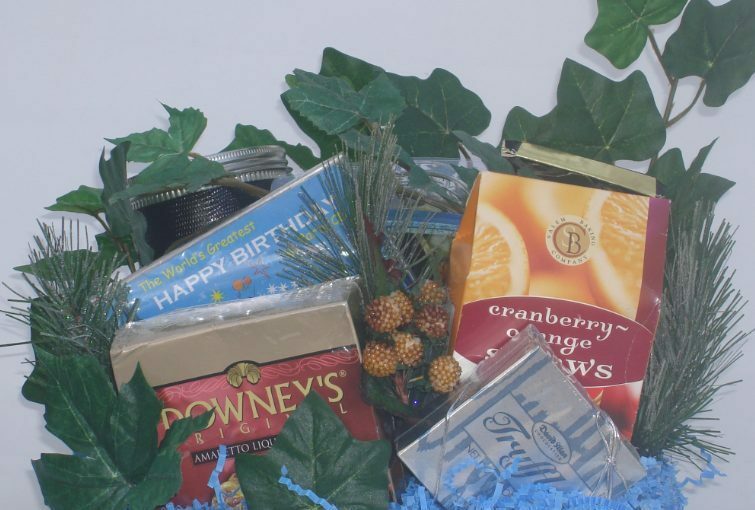 It can be a gift basket you design or one that’s made available through the chosen print company. If the photo is not your own, make sure it’s one that represents your design ability, and don’t worry. 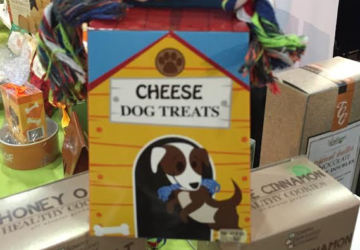 No one will ask you to create that exact gift basket. Carry your cards everywhere. Take them to the gym, the supermarket, and even on vacations. You may be relaxing on a beach when the potential to create gift baskets for an executive you meet occurs. Business cards are light enough in weight, yet powerful enough in connectivity to make them worth keeping by your side. There are times when distributing postcards is a better option than handing out business cards. Both products work together for marketing purposes. However, postcards broadcast your message with larger visibility when a potential client has a sea of business cards from other people in hand. Keep this in mind when attending networking events. It’s a smart decision to take both items so you can decide who gets which one. Postcards market your business in other ways, too. It can be created so you hand them out at in-person events or mail it as a follow-up to a face-to-face meeting. Make sure you leave a bit of room on the address side to write a personal message, ensuring that the receiver remembers you. Before creating a postcard, consider all of the details you wish to include. Order 50-100 postcards the first time unless you have a large mailing list or plan to distribute them as an exhibitor or attendee at an upcoming event. As with business cards, you want to market your business often and order more after editing it if needed. Postcards can be more lucrative for sales than marketing online. You may at first think that online marketing is less expensive due to the cost of stamps, but consider how many people read their mail versus read their email or visit social media. This is where the real benefit of mailing postcards lies. You can’t go anywhere, in person and online, without hearing or reading something about the power of social media. What you find can be overwhelming. Yet, you might access it every day or occasionally for business or personal reasons. Its marketing potential is powerful as long as you know your target market and their preferences. Otherwise, marketing through this channel will waste time and money. Marketing through these programs looks easy, but it’s not. Your message competes with many others trying to get your target market’s attention. However, it’s possible to spend time and some money to research and test where your target market is located and how to get them to take action you request. Such actions are too broad to discuss here, as your marketing will be specific to your goals. This is why many designers speak with me before starting a social media campaign. The main point is to be slow and steady when marketing on social media. When your marketing starts to net sales, then you know which process to repeat. You may, at first, think that broadcast media is too big a marketing opportunity to pursue. That’s simply not true. Television and radio, which includes cable and satellite broadcasting, is wide open for distributing your message. There are several options. 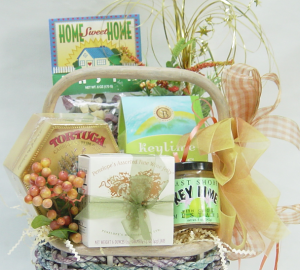 Gift basket designers and their products are favorite guests on television morning and weekend shows. 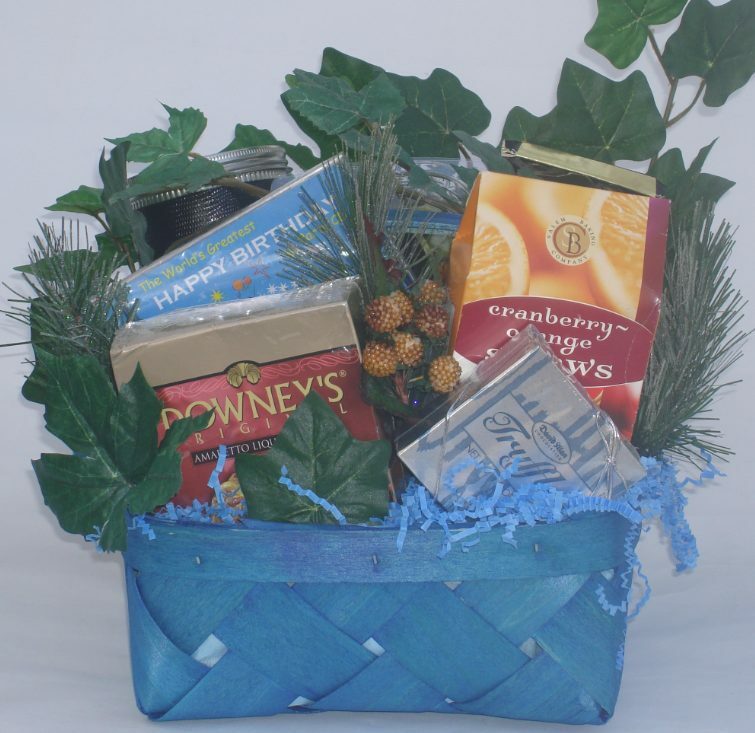 Special occasions, such as Valentine’s Day, Mother’s Day, and Christmas are events when you see featured gift baskets. 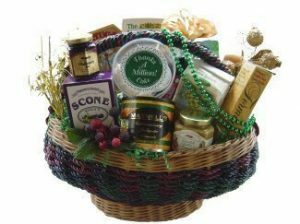 It’s not difficult to be your area’s go-to gift basket business. Best of all, a three-minute presentation marketing your gift baskets to thousands or millions of viewers has huge sales potential. The same is true about radio, but you must be more careful about non-visual marketing. Everyone wants to see what you offer. Although radio marketing has possibilities, it may be wiser to advertise on this medium. Still, a guest radio spot may prove lucrative if your target market is listening. This option includes magazines, newspapers, and local publications distributed in your area. There’s lots of talk about print circulation’s demise, but it’s not yet gone. Marketing potential still exists. Here’s why. Advertising in print publications may be a smart opportunity, especially if you’re in a rural area or small-town community. In any case, don’t count this marketing option out until your research proves it’s not for you. Ready to market your gift baskets? Now that you know how to determine your target market and the options to market your gift baskets, which of these methods is the one you’ll try first? What marketing method isn’t listed here that you’ll pursue in the future?